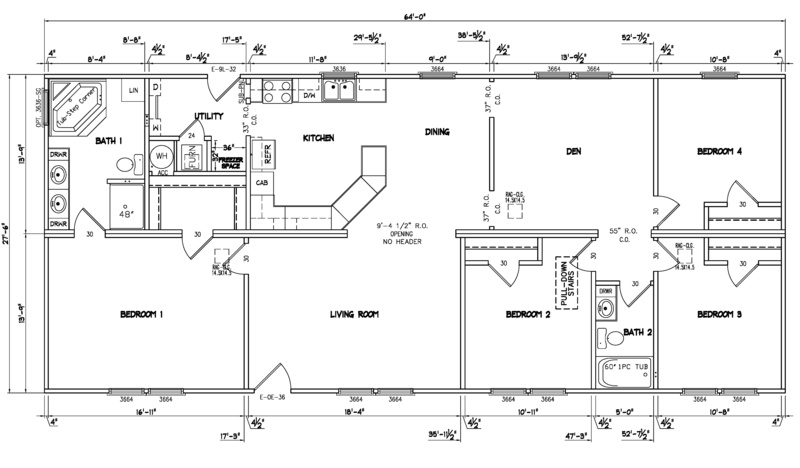 Model 111 - Ranch, 4 bedrooms, 2 baths, 1760 sq. ft. This charming design offers plenty of bedroom space, a convenient den and large kitchen and dining area.